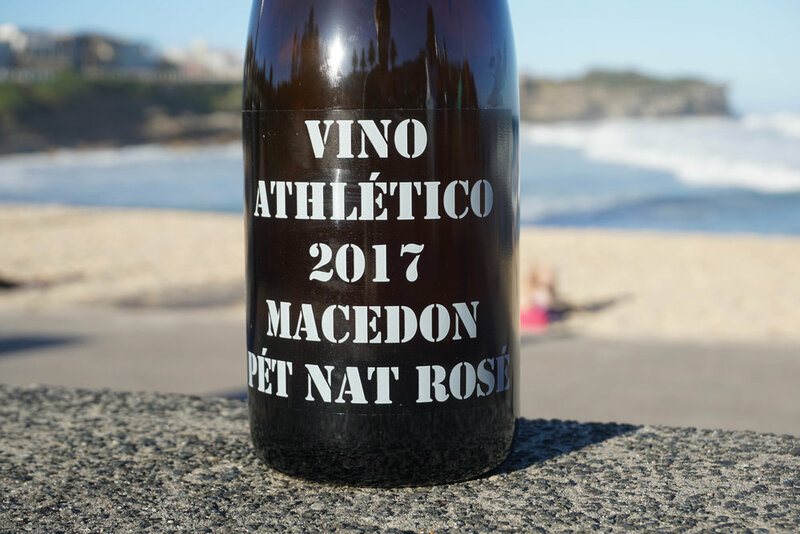 New Releases from the Athletes of Wine! Liam O'Brien and Matt Brooke, two Melbourne based sommeliers, began their viticultural and winemaking journey in the Summer of 2007 as the Athletes of Wine. Over 10 years on and lessons learnt vintage to vintage, they remain consistent with their core views and values, focused namely on quality of fruit resulting in quality wines. With full attention in the vineyards and minimal intervention in the winery alongside low crop yields, the chaps are able to harness exceptional expressions of both single site and regional blends. Handpicked at 560m elevation from the granitic sandy loam soils of the Candlebark Hill vineyard in Kyneton, Macedon Ranges. A true field blend, with approximately 5 picking bins of Chardonnay harvested before the last 5 rows randomly house the odd shiraz vine also, resulting in a blend of 90% Chardonnay and 10% Shiraz. Pressed quite hard to gain texture. Juice was then cold stabilised to reduce tartrates, then fermented and transferred to bottle, sealed at around 15g/L to complete primary ferment. The wine remains in bottle on lees for 10 months before being disgorged to promote clarity. Unfined and unfiltered. All handpicked and wild fermented, a blend of 52% Friulano, 40% Chardonnay & 8% Sauvignon Blanc, the Friulano (King Valley, VIC) and Chardonnay (Macedon Ranges, VIC) are whole bunch pressed to stainless whilst the Sauvignon Blanc (Macedon Ranges, VIC) was destemmed, crushed and left to macerate in the Chardonnay component for 5 months to promote texture. All handpicked, a blend of 50% Pinot Noir (Macedon Ranges, VIC) and 50% Dolcetto (King Valley, VIC), both parcels were saignee from red wine production. Wild fermented and aged in old oak barrel on lees for 7 months until it was blended and bottled. Unfined, unfiltered with a total of 60ppm total sulphur added. 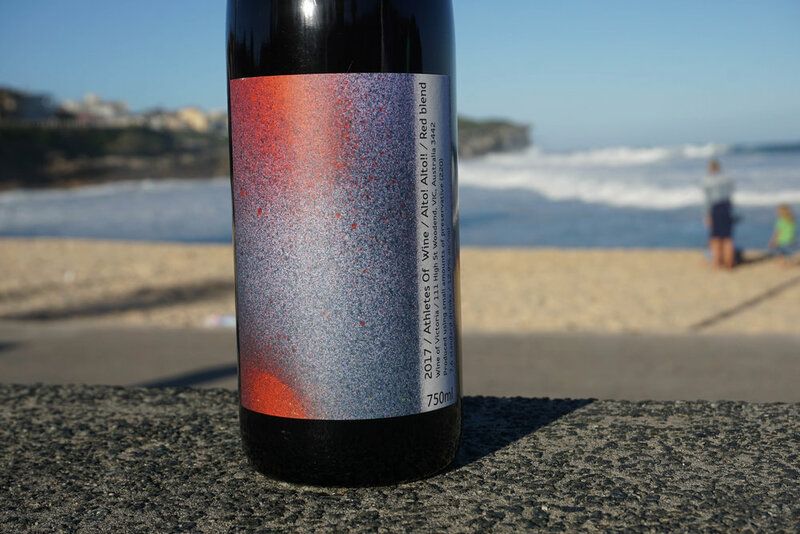 All handpicked, a blend of 40% Dolcetto, 33% Pinot Noir, 27% Merlot; the Pinot Noir (Macedon Ranges, VIC) was destemmed, whilst the Dolcetto (King Valley, VIC) saw half as whole berries for an initial wholeberry ferment and half destemmed with frequent pigeage to extract tannins. The Merlot (Macedon Ranges, VIC) was handled very lightly with punchdowns once daily, displaying great natural colour and fruit weight. All components were wild fermented, then pressed after 10-15 days on skins to old french oak for 8 months then racked once before going to bottle. Unfined, unfiltered with a total of 65ppm sulphur added.